You must be familiar with the Hong Kong egg tarts (蛋挞) if you like Cantonese dim sum. Whilst the barbecue meat bun is the signature of the savory dim sum, the most lovable dessert will be none other than the Hong Kong egg tart. Hong Kong egg tarts are derived from the Portuguese pastel de nata from the times when the Portuguese arrived at Macau at the turn of the twentieth century. Since Macau is just a short boat ride from Hong Kong, the locals had modified the original Portuguese egg tarts and served them along with other Cantonese dim sums for breakfast. The Hong Kong and Macau egg tarts differ slightly. Macau’s version resembles the Portuguese tarts with a scorched caramelized exterior. 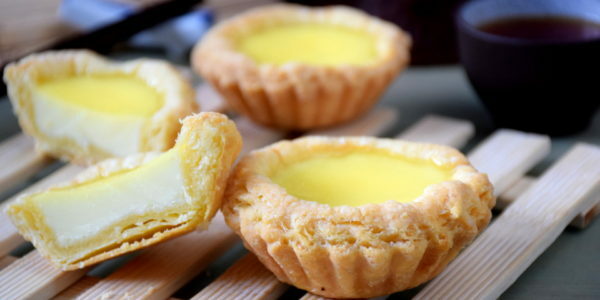 The Hong Kong egg tarts are influenced by the British custards tart with custard as the feeling with a glossy smooth finish. Gorgeous Hong Kong style egg tarts. There are two types of Hong Kong egg tarts. One is with shortcrust pastry and the other is by using the Chinese puff pastry. The best Hong Kong egg tarts are made from the Chinese puff pastry, which is slightly different from the western puff pastry. This pastry is less oily than the western version with a more floury flavor. Traditional pastry chefs used lard to make this pastry, but recently many bakeries and dim sum makers have changed from lard to butter, which is healthier and has a universal flavor. What is Chinese puff pastry? It is easy to make the egg tarts at home- only if you know how! The flavor of Hong Kong egg tarts fresh from the oven is simply amazing. Having them right out of the oven is a whole new experience against the lukewarm version you get from the store. Egg tart made with Chinese puff pastry is one of the best Chinese desserts among the dim sum spread in Cantonese cuisine. Many people wish to make it at home but finally, give up because of the tedious process and the skills required. Some people settle for the second best (shortcrust pastry) which is easier to make. However, the essence of the egg tarts lies on the unreplaceable texture and flavor of the Chinese puff pastry. You need to use the Chinese puff pastry for this recipe to make the REAL and AUTHENTIC Hong Kong style egg tarts comparable to the best dim sum store in Hong Kong and Southern China. Making puff pastry is tedious, but it is highly rewarding when you enjoy the fruits of your labor. I have simplified the recipe without compromising the quality. Now is your turn to bake and enjoy eating this famous Hong Kong dim sum as much as I do. Chinese egg tarts ( 蛋挞 ) is one of the most popular Chinese dim sum. 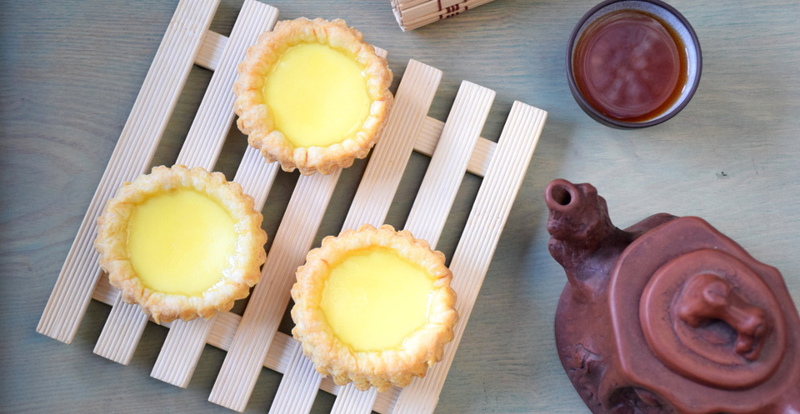 Try this traditional egg tart recipe. 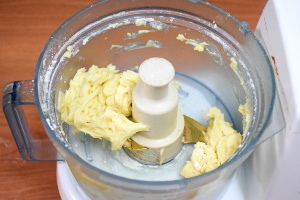 Put the butter and flour in an electric food processor. Use the pulse function to mix them until it forms bridges and strands. 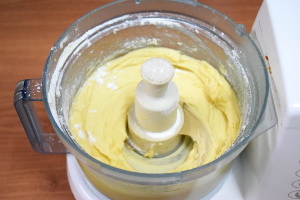 Remove it from the electric food processor, scoop out the oil dough with a metal spoon and place it on the water dough. Wrap it in cling film, place it in the chiller for 20 minutes or until it becomes firm. 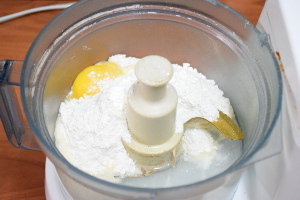 Put the plain flour, egg and ice water in the electric food processor. Mix them until they combine and form a ball. Spread a large piece of cling film on the table top, sprinkle with some plain four. Flatten the water dough and place another piece of cling film on top. Roll the water dough to form a large square. Wrap it in cling film and leave it in the chiller for twenty minutes or until it hardens. Remove it from the chiller Flatten it with rolling pin to about 3cm thick. Fold both ends of the dough toward the center like closing a book. (Analogy: Now it resembles a multilayered sandwich.) Place it into the chiller again for 20 minutes. Repeat the folding process (step 6) for three more times. After the last repetition, flatten the dough to about 3mm thickness. Use a cookies cutter or bowl to cut out pieces of round pastry which are slightly larger than the area of the mold. Put the cut pastry into a mold. Lightly press the pastry onto the surface of the mold. Trim the sides with a fork or a blunt knife. Melt the sugar with water to make a simple syrup. Let it cool. Beat the eggs for a minute. Add the milk and syrup to the egg. Mixed well. Filter the milk liquid twice to remove impurities. Fill each empty pastry shell up to 70%. Bake it at 200 degrees C/ 390 degrees F for 15 minutes, then reduce to 180 degrees C / 356 degrees F for another 10 minutes. Leave the oven door ajar for five minutes then remove the egg tarts. When you mold the pastry pieces into the tart molds, press the pastry towards the sides and bottom of the mold. Pierce a few holes in the bottom with a fork to prevent the bottom of the pastry from rising. Do not squeeze the pastry as it can damage the delicate layer of the pastry. Use a larger cookie cutter to cut the pastry so that you have ample pastry to fit into the mold. Use a round knife or the side of a fork to trim off extra pastry. The upper side of the pastry will be evenly trimmed and the perforated layer will be clearly visible after baking. Keep the tart base in the fridge before filling in the egg liquid. It helps to keep the butter from melting and the rapid rise in temperature in the oven creates distinct layers of the pastry. When you prepare the egg filling, cool the syrup then pour it into the egg. The egg will be partially cooked by the hot syrup and forms small lumps which are unsightly. Filter the egg mixture twice through a fine mesh strainer to obtain a clean smooth egg liquid before pouring into the tart base. Filtering the egg mixture will also remove all bubbles from whisking of the eggs. It is important to ensure that no bubbles are visible on the surface to achieve a smooth custard surface. Once the tart bases are filled with egg filling, bake immediately in a preheated oven at 200 degrees C/390 degrees F for 15 minutes, followed by 180 degrees C / 356 degrees F for another 10 minutes. The initial high temperature will cause the pastry to rise up rapidly, and form a multi-layer structure, whilst the lower heat will finish the cooking subsequently. Leave the oven door ajar for five minutes then remove the egg tarts to let them cool down slowly. Fill the tart shell up to 70%. Do not overfill as the custard will expand and spill over when baking. 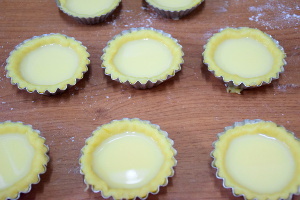 Once the egg tarts cool down, the sugar syrup will form a shiny layer on the surface of the custard. Do not reduce the sugar quantity in the ingredients of the filling if you want to get the shiny surface. 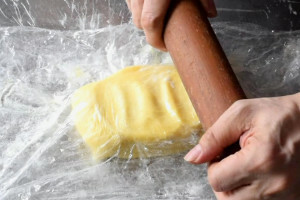 Chinese puff pastry is very similar to the western puff pastry except for the oil (butter, lard or shortening) is mixed with flour before wrapped with the water dough. Therefore, the texture and taste are different from the western puff pastry. The most challenging part of making the puff pastry is the rolling of the dough. Many people encounter the tearing of the water dough, which causes the oil layer in the middle oozing out to the surface. The dough becomes oily, sticky, messy and unmanageable. When you are troubled with the oil leaking from the dough, most people will reach out to the flour container with both hands full of sticky oil mixture. While you patch up the leaking dough with flour frantically, the butter is getting softer too. So more flour is required, and eventually, the dough will turn into a lump of sticky mass. This section is written specially to minimize this problem. The pastry is flakier if you use more oil dough. However, the water dough can only hold a certain volume of oil dough without tearing. You can reduce the volume of oil dough in the recipe if you prefer a more easy-to-handle recipe. It will be close to the original formula albeit less flaky. 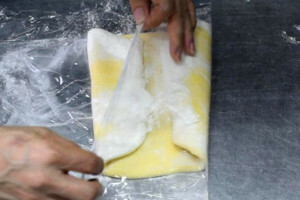 A clean way to fold the dough by using the second cling film method. 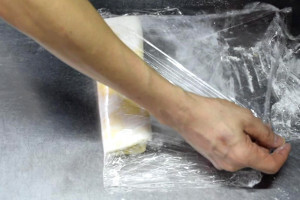 The cleanest way to roll and fold the dough is to use two cling films, one at the bottom and another on top of the dough. It is far better than just sprinkle flour to prevent the pastry from sticking to the surface. Place a large piece of cling film on the surface of the chiller top or a stainless steel table. Sprinkle flour on the cling film liberally. Put the water dough on the cling film. Cover the water dough with another cling film. 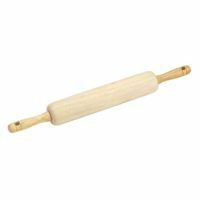 The second piece of the cling film prevents the dough from sticking to the rolling pin when you roll out the dough. Place the oil dough on one side of the water dough. The oil dough will stick to any surface. Therefore, I like to remove it from the electric mixer directly onto the water dough. You can use two stainless steel spoons to transfer it quickly. There will be some remain in the mixer bowl no matter how thorough you scoop it. It is not worth to spend the time to remove (and potentially messy) any small amount from there, as there will be no significant impact on the final result. The cling film prevents the dough from sticking to the rolling pin. How to find the optimum softness of the dough before rolling it out. Chill it until it is slightly firmer than I want. After placing the dough on the table, I will put my palms on top of the dough (with a cling film protected) to let my body heat to soften it. The softness is just right when I can use my palms to stretch the dough a little thinner by lightly pressing on it. Always roll the pastry gently with short strokes. Long strokes can break the layers of the dough. Use the cling wrap to fold the dough. Fold the dough like closing a book when the dough is thin enough. 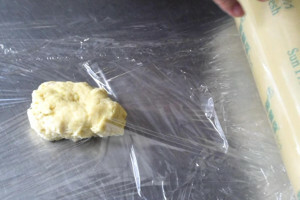 Remove the top layer of the cling wrap.Hold the corners of the cling wrap to fold the dough toward the center. This method is clean and tidy as your hands are not touching the dough. Repeat the rolling and folding steps of three times. You must resist the temptation to roll out the pastry when it is too soft. Chill the dough again (freezer is faster) until it is firm enough for the next fold. It may take at least twenty minutes for a small dough but much longer for the bigger one. The time required depends on the temperature of the chiller or freezer. You can also leave the dough in the refrigerator overnight to continue the next day. I know this is a LONG recipe post but read through it before you start 🙂 . Keep the butter cold at all times. The most frustrating thing when making puff pastry is when the butter starts to melt and leak through the layers of the dough. The layers of the pastry will be poorly defined and the butter will stick to the rolling pins and the table. 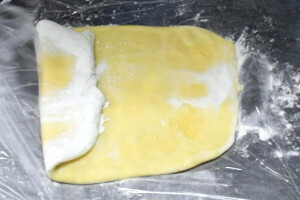 The common solution is to quickly cover the broken area of the pastry with plenty of flour, hoping that the flour will absorb the butter and prevent further leakage. This does not always work because the longer you delay, the more butter will melt and it becomes messier. The best way is to place the pastry quickly in the freezer to let the butter harden before resuming the folding and rolling process. Use an electric food processor to blend the dough. It saves you time. Rest the pastry before molding. I normally do not stretch the pastry further during molding. I usually cut a piece of pastry big enough to cover the entire inner surface of the mold with some extra for trimming. Since puff pastry will shrink after rolling, it is best to rest it for a few minutes then trim the excess. This will ensure a perfect shape of the tarts. The optimum thickness of the pastry is 3 mm. The layers can break if you roll it too thin. On the contrary, too little egg liquid can be poured in if the pastry is too thick. Use butter, not margarine or shortening. 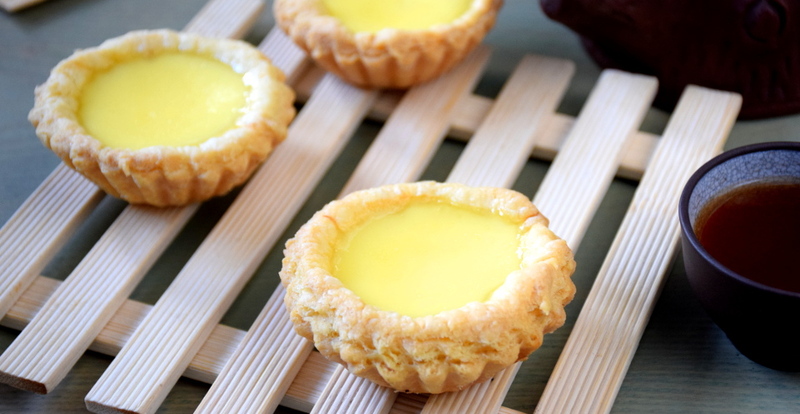 Traditional Hong Kong egg tarts are made with lard, but the trend has shifted towards butter. I use butter in this recipe because this is the flavor I like. Shortening and margarine are easier to handle than butter at room temperature but do not taste as good as butter. 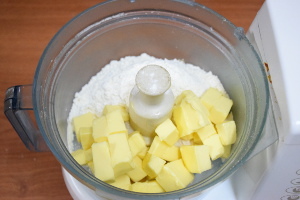 If you are using unsalted butter for the pastry, add one percent of salt to the recipe. For example, if the recipe calls for 100 g of butter, then 1g of salt should be added. Make a large batch. You can keep Chinese puff pastry in the freezer for a few months. If you have cut the pastry, separate pieces of pastry with a piece of plastic sheet to prevent them from sticking together. 128 replies to "How to make Chinese Egg Tarts perfect for breakfast and tea"
Hi, this is KP Kwan. I am happy to see you at this comment area, as you have read through my recipe. I am happy to reply any questions and comments as soon as possible. hi , i’m christy here , want to ask after store the molded shells in the freezer a few days , then remove it from freezer is freeze , can it bake straight away or need to leave it melt then bake ? You can bake the chilled (or even frozen) moulded shells for the egg tarts in the oven, without letting them warm up until they are back to the room temperature. This looks wonderful! Have you considered making a video on YouTube? Glad to know you like the recipe. I have set up YouTube channel a month ago and all my most recent recipe / post are with videos. I may revisit some of the older one including Egg Tarts and make a video in future. It is a great idea. Thanks. You can follow my YouTube channel here https://www.youtube.com/channel/UCKKDPrTVNzxA6hdsBWVfSFQ . Thank you for the pao and pao filling recipe. I will try your pao recipe one day and of course without ammonium. Hi. I’m not sure I understand step6 which calls for repeating of 2-5? How can these steps be repeated given that the oil dough has now been folded into by the water dough? The recipe instructions do not call out separating the two dough types into 3 or 4 pieces each to allow for repetition of the folding? Have I misunderstood? Thank you. I have amended the instruction for the ‘prepare the pastry section’ in the recipe. The instruction is much easy to understand now. Appreciate that you point out the confusion of the steps. Interesting video. Short & quick.. Guess I’ll give this a try. Just that the folding part is a bit tedious. Yes, but the result of making the Hong Kong egg tarts is highly rewarding. One important thing- be patient. Do not fold the pastry if it is too soft. The oil will leak and become messy. Just put it in the refrigerator and wait until it firms up. Would it be possible to make one large egg tart instead of several smaller ones? I assume the baking times would be different. 1. As you said, longer baking time. 2. Since the larger one will hold more egg liquid, the base of the tart crust may compress too much by the weight of the egg liquid. It may not be fluffy as expected. It is possible to bake the empty pastry without the egg until it is nearly cooked, then fill the egg liquid and continue baking. As I mention I never try this way so if you ever make the Big Mac size egg tarts, please let me know 🙂 . I wanna ask why my eggtart filling always cracked after several hours of baking. The hole of the cracked is always getting bigger and bigger as time goes by. Why this is happen? And how do I solve this problem? There is a common reason- overcooking and overheating. 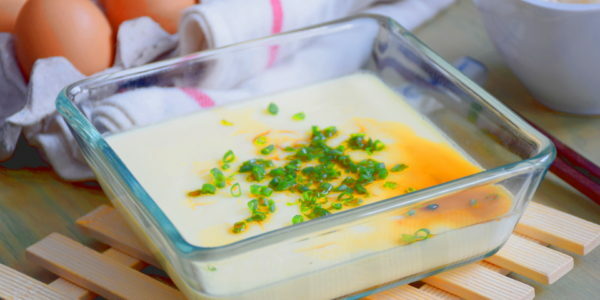 If the egg custard is baked for too long over high heat, it will swell too much and tend to crack. Try to shorten the time of baking or reduce the temperature a little. Thanks for your advice. I have tried before to reduce the temperature to around 150 C ~ 175 C. I noticed that it took very long time to the custard to set. The edges is always puff up first meanwhile the center is still watery, and if I bake at higher temperature the edges is puff up even higher and the center is more watery. I tried to open the oven door if this happen so the edges is not puff up too much, and wait to the center until slightly woobly. But the result is always the same. It cracked and even cracked more when completely cooled after several hours. And also it always shrinked down at the center. What can I do to solve this? I want the look of my egg tart beautiful like yours even had been stored for hours. Really look forward for your advice. It seems the problem is not due to overheating or high temperature. In fact, the temperature of 150 to 175 degree Celcius seems too low to enable the pastry to fluff up completely. Is the problem happened by using the custard formula of my recipe or another one? If it is from other recipes, maybe you can let me know, and I’ll try to help out. I forgot to tell you that I blind bake first my tart shells before adding the egg custard. I blind baked the shells until already crisp enough. After that I continue baked with the egg custard. I had already tried not blind bake first the tart shells, but the pastry was always not crisp enough(still raw) meanwhile the egg filling already puff up so high. So i decided to blind baked first the shells. After looking at your recipe, I find that there is a difference from mine. In my recipe, the amount of egg (5 eggs or 245g) is roughly equal to the liquid (80ml milk + 165 ml water= 245ml). In your recipe, the amount of egg (2 egg yolk is about 32g) is not equal to the amount of liquid (150ml milk). By calculation, it is one part egg and 4 1/2 part liquid. 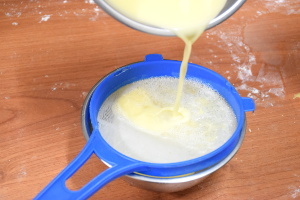 The liquid may be too much, and the eggs are not able to hold the custard together and cause the breakage, crack, and shrinkage. Try to reduce the milk or increase the egg to see if it works. I get your questions, and I am trying to explain as clear as possible. I can understand how difficult it is to visualize how to do it without the access to my YouTube video in China. Nevertheless, here is my answer. The oil dough is sticky. After you mix it in the electric mixer, use a metal spoon to remove it from the mixer bowl, and place it straight on top of the water dough. The instruction in the recipe is confusing because I mention ‘knead’ which is incorrect. It is like scooping out soft ice cream. I normally use two metal spoons to do it. One spoon to scoop the oil dough, and the other one to remove the oil dough on the first spoon. You will not be able to remove all from the mixer bowl as it is sticky. It is OK. Thanks for letting me know the confusion, and I have made the necessary correction in the recipe. I’M sorry to bother you again. But do I skip to step 6 or I go to step 5. And do you know of a way that we can make this without a food processor. You can mix the oil dough with a metal spoon if you opt not to use an electric food processor. It does not need to be well mixed. For the water dough, you can knead it by hand just like making bread. I would like to ask what do you usually do when you have leftover skin after you cut it out to mold it in the case. Do you throw it away or roll it in to a ball and cut it again and mould it in the case? You can stack up the leftover pastry carefully just like stacking up pieces of papers. Then you can roll it out again to make more egg tarts. The reused one will not have as much layers as the fresh pastry, but it is a waste to throw it away. Thank you so much. I have not have anyone on the Internet that answers so quickly. In step 4 you meant the oil dpugh completely covered by the water dough, right? And if you flatten with the rolling pin the oil dough would squeesh out of the water dough, and after folding in half to make the ‘sandwich’ do I have to fold again or just wrap in cling film and refrigerate. You need to treat it gently so the oil will not squeeze out. Put it in the chiller will help to harden it. Please watch the video for my demo. I would also like to ask what do you do with the egg white. Just wanted to thank you for posting egg tart recipe with such great details. I can’t wait to make them. Thank you! Thank you Patty. Hope you make a batch of delicious egg tarts soon. I have not made egg tarts with the microwave oven. However, I have used both the small oven (for home use), and the commercial oven and both works well. May I also ask if I bake in the small oven does coming time vary. Every oven will give you a different result. The heat distribution is not so even for small oven compare to the large one. You need to try out to know how your oven behaves. Hi KP, such a wonderful tutorial. I would like to know more about best practice of storing the pastry. Do I need to half bake the shell or store the molded shell or store the filled shell? My oven is small, but I need to make more than 12 pastries for the next day school gathering. Or simply bake them all today and warm them tomorrow? I have a simple suggestion for you. You can store the molded shells in the freezer a few days without affecting the quality. So you can make a day or two earlier. Just deep freeze the raw, without any baking. You may also want to prepare the egg fillings a days before and keep it in the chiller. On the day of your gathering, all you need is to fill up the molded shells with the egg liquid and bake. Thank you for this detailed instruction on how to do egg tart!It is very helpful. Thanks for following my recipe. Wishing you to have a great day in the kitchen and enjoy your Chinese egg tarts. 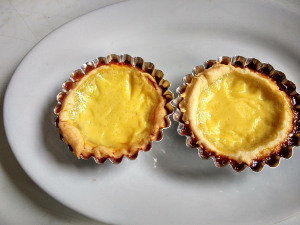 I used western puff pastry to make egg tart: the shells got raised & pushed the custard out. Is there any way to prevent that? I’d appreciate your help. In making western puff pastry, we use the water dough to wrap the pure butter (instead of combined with flour as for the Chinese version). Therefore, western style puff pastry expands much more than the Chinese puff pastry. The expansion will force the custard out of the mold. Blind bake the western puff pastry first, meaning lay the pastry in the mold without the egg liquid. Put some uncooked rice or beans on the pastry to prevent it from puffing up too much while baking. After the pastry is cooked, remove the rice or beans and fill with the egg liquid. Baking again until the custard is set. Thank you for the clear and detailed instructions. I was wondering if I could replace some butter with oil? You can use another type of oil (margarine, shortening or animal fats) instead of butter. Indeed, you can also use a mixture of them. These are fats/oil that will turn solid at a lower temperature in the refrigerator. 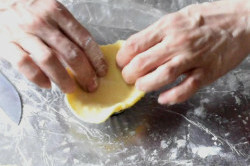 Therefore, the pastry made with anyone of them is easier to handle during shaping and folding, as long as you keep it chilled right before rolling it out. Base on this reason, palm oil, olive oil and other vegetable oil may not be a good choice. The flavor is not as good, and it is very hard to handle during rolling and shaping. Could I exchange the milk with water. Just use the same amount of milk to substitute the water will do. ….. or melted butter… . No butter please. Keep it simple. Water is OK as I mentioned just now. Hi! I see a lot of other recipes using evaporated milk. This one says just milk; is that correct? And does it matter if it is whole milk, 2%, or fat free? Thank you! I use full cream milk (>3% milk fat) in my recipe. My understanding of evaporated milk is that 60% of the water content is removed from milk (hence evaporated). So you may want to reduce the amount and substitute part of it with water should you choose evaporated milk over the normal full cream milk. Hi! Making those for the first time ever for my family and a few Asian friends who are coming over for a mud crab cook up and those will be a surprise. Question is…do i cook them now? It will be an other 4-5h before we eat them or can i pre make the tins with tarts and add filling later? Or can i put them back in the oven just to warm up before serving them? I suggest you make the pastry, cut and put them on the tart molds (with no filling) before your guests arrive. Place them in the refrigerator. At the same time, make the filling separately and place in the refrigerator too. When it is about time for the party, remove the empty molds with pastry from the refrigerator and pour the filling mixture into the pastry shells. Bake immediately. You will get the best (and fresh) egg tarts for your guests. Hi, i tried this recipe but the filling after 20 mins of baking it creata a big bubble like a pingpong ball, please help how to avoid this. It might be due to the temperature is too high, causing too much expansion of the egg filling. But you still need high temperature to let the pastry expand and create the layers in the oven. I suggest you use the temperature as in the recipe initially, but reduce the temperature about 20 degrees Celcius if the egg filling expands too much. This is my first time making these tarts. I just have a few question first: what can I use instead of the tart mold? How big should the pastry be before going into the molds? Can I use a conventional oven? Thank you fro your time! 1. 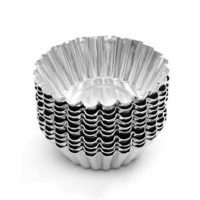 You can buy the tart molds easily from any kitchenware shops or even online at Amazon. I suggest you just buy it rather than using other substitutes which may not be good. 2. Cut the pastry larger than the mold and remove the excess. Once you have done the first one, you will know how large is the optimum size. Stack up the leftover pieces, roll out into thin pieces to be used again. 3. The conventional oven is fine. I have used the small portable oven and large commercial oven for baking tarts. It does not matter. I wish you to have a fun and successful baking session. Thank you for responding. Is the baking temperature the same with a small convection oven? When I have baked other foods in it, I find that I have to reduce the temperature by 50 degrees F.
The heating element of the small convention oven is close to the baking items (cakes or tarts). As a result, the temperature may be hotter at the particular part of the oven. Other than that, it should be as good as the larger one. The temperature as indicated may not be accurate. For more details, you can refer to the other post “Complete guide- How to make the best butter cake (8 simple steps)”, Step 7- Baking temperatures and the duration. Hi KP, thank you for this recipe! Tomorrow I have limited time to bake, but I want to make these. Could I make the dough in advance and just leave it overnight to chill vs. 20 minutes to firm? Please make the Chinese egg tart dough and chill it. You should get the same result. Thank you. Glad to know you like the Chinese egg tarts. So the only differece on using butter and margarine is only the taste? It is the taste of butter that counts. Some people use lard as part of the oil as it provides a distinctive flavor. However, it is your choice as there are people do not take pork and lard. Also, butter is considered a healthier source of oil compare to margarine. After going thru yr egg tart recipe & video, i tell myself I hv to try it out cos so much effort has been put into producing the video for us to learn to bake authentic HK egg tart. A million thanks to you. Shall head on now to try. 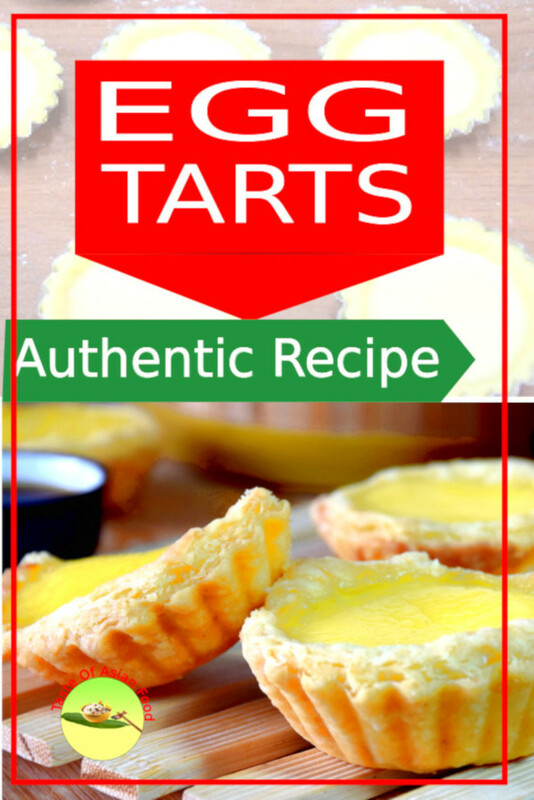 It is my wish to share the egg tart recipe with you. KP, thank you for sharing this wonderful recipe. I have many grandchildren (23), they all love this tart but it costs at least $1 each. There is also no chinese bakery where I live Now, I can make it for a lot less. Can the rolling and folding be done all at once instead of four different times? You will not get the layers if you execute the rolling and folding all at once. So I do hope you can take some time to do the folding and rolling. Great recipe KP! The egg tarts turned out super nice and it was much easier to make than I anticipated thanks to you detailed instruction. 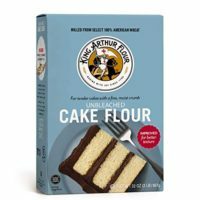 Quick question around using lard in your recipe: if I would like to use lard instead of butter, do I need to adjust for any other ingredient in the dough? Thank you! I always have the fear that the recipe is too complicated to follow and will turn my readers away, and what a relief after hearing from you. Lard and butter are interchangeable in the recipe. Just substitute one with another on a gram to gram basis. The quantities of other ingredients in the dough are the same. 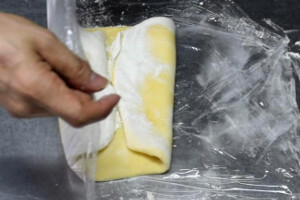 I noticed while looking at other recipes that the majority of people after taking the pastry out of the chiller rolled it out, turned it 90° and the folded it, but you haven’t done this. Will this make a difference? I actually turn it 90° as in other recipes. Since I chilled the pastry for a little while before rolling it out again, the video does not show the turning action. Turning the pastry 90° make it easier to roll out to become a rectangle. Thank you so much for this amazing post. I love that you took the time to be as detailed as possible. It’s a great effort! Can I ask if it’s possible to use this same pastry recipe and technique to make Portuguese egg tarts? 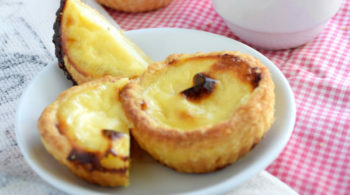 I’m trying to find a Chinese (water/oil) dough recipe vs. Western (water/butter) recipe to make Portuguese egg tarts. 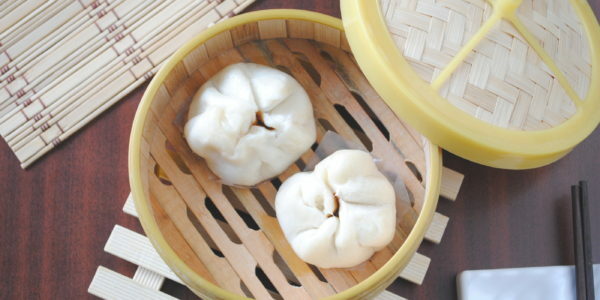 Also, instead of the French folding method, is it possible to roll it (just like making siew bao), turn 90 degrees and roll again to achieve the same effects? 1. I have not make Portuguese tarts before, so I may not be the position to say whether it is considered authentic by using this pastry. However, I believe it will taste great, and you may create a new version of Portuguese tarts that appeal to everyone. 2. You can use the way you prepare Siu Bao for this pastry. The goal is to have the layers. It doesn’t matter how you fold it. By all means, use the “Swiss Rolls” method. Your egg tarts looks really delicious. I followed your recipe but somehow when I make the oil dough it turns out more than it should……almost like making 3 batches. I did it twice and same amount every time……don’t know where I go went with the ingredients……only possibility I could think of is wrong measurement for the butter. 300 grams = 1/2 cup + 5 tablespoon……is that right? One cup is 250g or 250 ml. One tablespoon is 15g. Sometimes cups and spoons measurement can be confusing. I have converted all my recipes in my cafe to weight, and purchase a few kitchen scales for my staffs to avoid any confusion. Maybe you want to consider buying a kitchen scale. Usually, it should be written the weight of a bar of butter on the packaging. 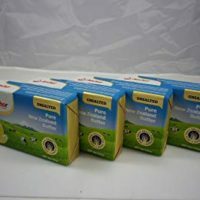 I often buy the standard butter bar of 250g each. Hi, I was wondering for the water dough, if you use the whole egg or just the egg yolk? Thanks for highlighting the confusion. I use whole egg to make the water dough, although it does not matter if you use yolk only. I have made the correction in the recipe. Hope you will have a successful Chinese egg tart making session. There is no harm to grease them, although not really necessary. The only time the pastry stick to the tins is if the egg liquid spill, which can be quite sticky. Please be careful so that the egg liquid does not spill, or do not fill the pastry shells too full. were easy to follow. Thank You. Thank you and hope that this article helps you to make the Chinese egg tarts. I forgot to reply back to thank you for advising me with measurement. My pleasure, and thanks for your five-star rating. I want to ask your advice on what modification I should make for a large batch but smaller tarts (75 single bite size, perhaps 3″ or smaller) e.g. cooking temperature, cooking time, increase your recipe by 2 or 3 times, etc.? Also, can I use confectioner sugar and use more egg whites? If you intend to make smaller tarts, you can increase the baking temperature by ten degrees, and shorten the baking time by a few minutes. Smaller tarts need a higher temperature and shorter time. You can use confectioner sugar or castor sugar. Avoid using sugar in large granules. I would like to try your recipe, because I always bake my HK egg tarts with western puff pastry. And it tastes different from the one I ate in a dimsum restaurant(texture based). Your recipe is great, very detailed and authentic. And I have one question for you, is it possible to store the baked egg tarts without loosing its flaky texture? I always wonder to how the egg tarts from bakery are still flaky despite being baked from several hours ago. I have purchased the ready-make western puff pastry and store for a few months without losing the texture – still flaky. Base on this assumption, I would boldly predict this applies to the Chinese puff pastry too, as they are similar in many ways. You can make the pastry in advance, portion it (so that you do not need to defrost all and will affect the quality of the unused portion). However, it may not be the best if you keep the baked tarts for too long. Instead of doing that, cut and place the pastry in the mold. Frozen the empty pastry shells. This way can cut short your baking time next time. Before lining the pastry cases, do the cases need to be greased or floured? I do not do that as it will not stick. However, please be careful while filling up the egg liquid. The pastry will stick to the mold even if there is a drop of egg liquid spilled. When cooked, the egg will stick the pastry to the mold. I am currently attempting this recipe. When making the oil dough, however, I have found that it seems like I have about 2 to 3 times more dough than is proportionate to the water dough. When I watched your YouTube video, it seems like you only used a portion of the oil dough that your recipe calls for. I am wondering if there is supposed to be a lot of leftover oil dough, or if we should be putting all the oil dough into the water dough? Thank you! The water dough of the Chinese egg tart is based on 250g flour, and oil dough is 200g flour as in the recipe. Roll out the water dough with two cling films. Use a spoon to scoop as much oil dough at the center of the water dough. Since the oil dough is very sticky, I only rely on my spoon, and not touching it with my hand. As in the video, you will see some oil dough are still in the mixer. I leave it as it is as it is not possible to get all out from the mixer bowl. It is OK. This amount should be sufficient to create the layers in the pastry. It looks a lot and hard to wrap all inside. But be patient and seal all the oil dough inside the water dough. Hope I manage to make it clear to you. Glad to know that the Chinese egg tarts turn out well. I remember trying your recipe my first time making these egg tarts a few years ago, and they turned out perfectly! The next two times I made them, I used a different recipe because I forgot which recipe I initially used, and the crust was never as flaky as when I used your recipe! Thank you for putting so much detail into the recipe. It made a complex process possible for a beginner. I will definitely make this again for my family! Thank you so much for using my recipe again. Hope you enjoy it. The method is a bit messy if you do not use the food processor, but it is nearly identical. I suggest after cutting the butter, place it in a large stainless steel bowl. Wait until it becomes very soft before mixing with the flour. Hand mix is challenging if the butter is still hard. Also, it does not matter if the butter and flour is not 100% well combined. The pastry is folded a few times later so it will be well mixed anyway. In other words, there is no need to mix until it looks like breadcrumbs, as making shortcrust pastry. This is because of too much mixing (and too long) will tends to have butter sticky everywhere, if you use your hand. A pair of disposable glove and a plastic spatula are both useful. Thanks for trying the recipe again. Thank you so much KP for giving so much detail on how to make the egg tarts. Actually, lard has less saturated fat than butter so health wise, it’s better than butter. And it will make flakier dough than butter because there aren’t any milk solids to toughen things up. Definitely. The only problem with butter is it can be messy to handle. Can I use a stand mixer instead of the food processor? You can use stand mixer too, as long as you accomplish the work. All the best in making the egg tarts. Hi I made the egg tarts today using your recipe! This is the first time I try making this type of pastry and your instructions are really good and the cling film is so useful when folding ! Thanks for trying out the recipe. Mine is probably about or slightly bigger than yours. You can make less of the filling if that is too much. It all depends on the size and depth for the mold for the egg tarts. I was just wondering, would it still work if you do it like the western way in which the butter is not so liquid, and therefore easier to handle as well? Could this be done like putting the oil dough into a square shape and doing it as puff pastry? 1. You can make it into a rectangle which still works the same. 2. 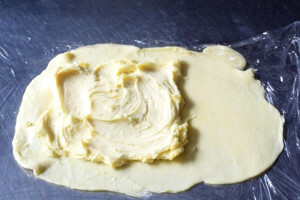 Pure butter is used to make western puff pastry. Butter (or shortening) plus some flour is used to make the Chinese style puff pastry. That is why the taste is not the same. It will be the western type is you use the solid butter pieces and lay on the roll out water dough and start to fold it. Alternatively, you can chill/freeze the oil dough first before folding. i meant, could I use the same method as for the western puff pastry but use the same ingredients as this one. Cos when i made this at home, the inside took very long to firm up. i mean, like making the cross and putting the oil dough in the center and folding the four corners toward the center.while using the exact same ingredients as this recipe. You can use the western method as mentioned, i.e., fold the corners to the center. The outcome will be identical. Do i bake in a fan generated oven or without the fan, and which position do i place the egg tarts in the oven? I am using the gas oven without a fan, which turns out well. I put them right at the center. Not quite sure about the fan oven since I do not have one. I made these today in a no fan oven at the bottom rack, do you have any idea why there would be a hollow in the center of the egg custard filling? I think high heat is important initially to cook the pastry but reduce the heat after 15 minutes and reduce further to cook the custard so that the custard will not expand too much and then deflate later. I am making these egg tarts for the first time and I find that my dough keeps breaking and the oil dough keeps getting exposed. I am going as gently as possible – and when I roll the cold dough it begins to crack. Is there an “ideal temperature” for rolling the dough? Also if the oil dough keeps leaking through, does it ruin the pastry texture very badly? You are facing a problem that many people are having too. 1. Increase the amount of water by 10% to see if it works. Cracking usually means there is not enough water. I can only say that the amount of water in the recipe is the guideline. As long as the dough does to turn into a sticky mass. (can still form a piece of nice dough) You should not worry too much too much water. 2. Temperature. Be patient. It is always chill it until firmer than you think. The pastry can be frozen, so that is no problem. How firm the best for folding? I would say it is frim enough that you can bend the pastry without breaking it. Once you think the butter starts to soften and you believe it may leak out when your roll, send it back to the chiller or freezer. If you do it during winter than it should have not a problem, but during summer, or in a tropical country like me, you have to get all things ready and do it fast. If it breaks, add plenty of flour on the breaking point. Keep rolling as usual. After that, using a brush to brush off the excess flour before folding it. 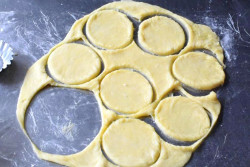 When the water dough is rolled out prior to adding the oil dough .your recipe mentions it should be rolled out into a large square. Approximately what dimensions should this be? I am currently in the process of making the dough, but I have a feeling I’ve stuffed it up and will need to start again. I do not think I rolled the water dough big enough to completely wrap the oil dough, and some of the oil dough squeezed out on either side of the ‘burrito’. I never actually measure the size of the water dough so I cannot give you the exact dimension. However, I have some suggestions that may be useful to you. 1. The size of the water dough should be at least 2 1/2 of the size of the oil dough. Just imagine you need that size to wrap up the oil dough. 2. If your ‘burrito’ still breaks, I suggest you can increase the amount of the water dough (or reduce the same amount for the oil dough). 3. If you think the oil is going to leak, just put back to the refrigerator and wait until it firms up. Be patient. This is my first time doing it.Do I need to blind bake the tart dough first before pouring the filing ? If need to what is the temperate and duration to bake ? Or I can just pour the filling straight to the tart dough ? I normally do not blind bake the tart. Just add the egg filling to about 75% full and bake. As long as your oven is at the right temperature, it should be fine. Also, do not fill the tart pastry with too much filling. It will expand a bit during baking and if it spills, the egg will stick to the mold and make it very hard to remove it. I’m having a bit of an issue baking the tarts. It seems that the puff pastry i made wasnt properly cooked until inside so its not flakey. This happens especially at the bottom section. The top parts which was baked properly was flakey. I’ve put the tarts on the lowest section of my oven too. Upper and lower heat with circulating air. I could show you the photo i took but wasnt sure how to attached it. Thank You. The position and temperature will affect how fast the pastry will cook in the oven. 1. Put the egg tart at the lowest rack, so that it is closest to the lower heat source of the oven. 2. Adjust the temperature of the bottom heat ten to twenty degree higher than the top heat. 3. If possible, turn off the circulating air so that the lower section of the oven is hotter than the top part. By doing so, the bottom part of the pastry will cook faster than the edges and the top and will be less soggy. The exact temperature and position very much depend on the oven.